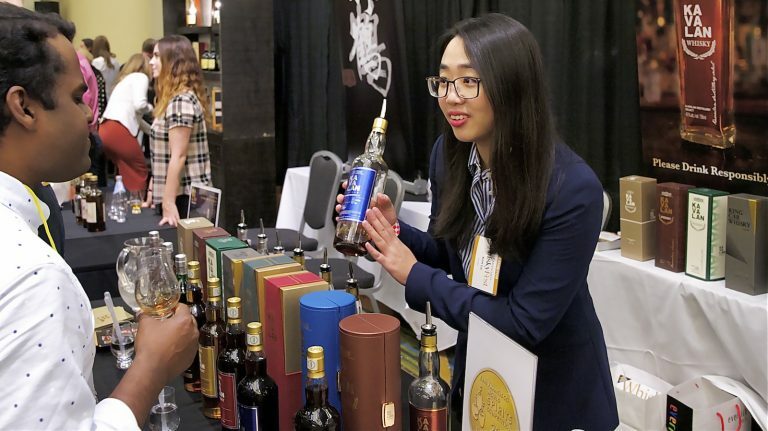 The good times washed over the Washington, D.C. Marriot Marquis ballroom on April 10, as WhiskyFest took over for another year of whisky, seminars, and lively conversation. 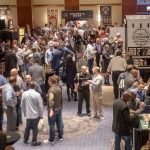 The Mid-Atlantic whisky-drinking community came out in full force, soaking up the world-class pours and more. Throughout the evening, attendees found themselves faced with an abundance of choice. Local distilleries lined the floor, with Sagamore Spirit representing Baltimore while A. Smith Bowman and George Washington Distillery offered up a taste of Virginia. Meanwhile, bourbons from across the United States, scotches, Irish and Canadian whiskies vied for space in people’s glasses. 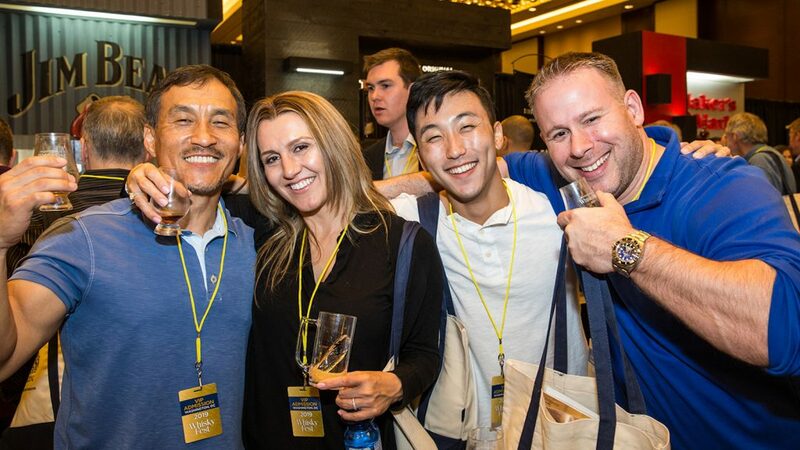 World whiskies showed up in force, with Japan, Taiwan, India, and Mexico well represented. 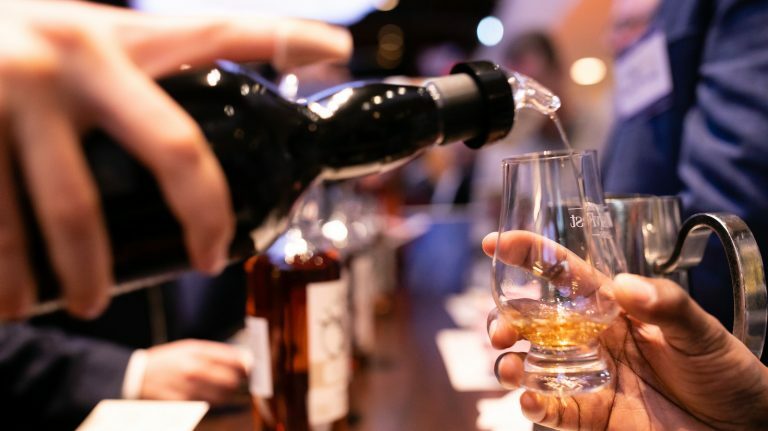 Many of Whisky Advocate’s 2017 and 2018 Top 20 whiskies were on-hand as well, including Nikka From the Barrel, our 2018 Whisky of the Year. Elsewhere, attendees could find High West Double Rye (2018 number 14), Sierra Norte Yellow Corn (2018 number 20), 1792 Bottled in Bond (2018 number 9), Rebel Yell 10 year old Single Barrel (2017 number 12), Port Charlotte 10 year old (2018 number 4), Knob Creek Cask Strength Rye (2018 number 2), Little Book Chapter 2 (2018 number 11, and 2017 Whisky of the Year, Elijah Craig Barrel Proof. 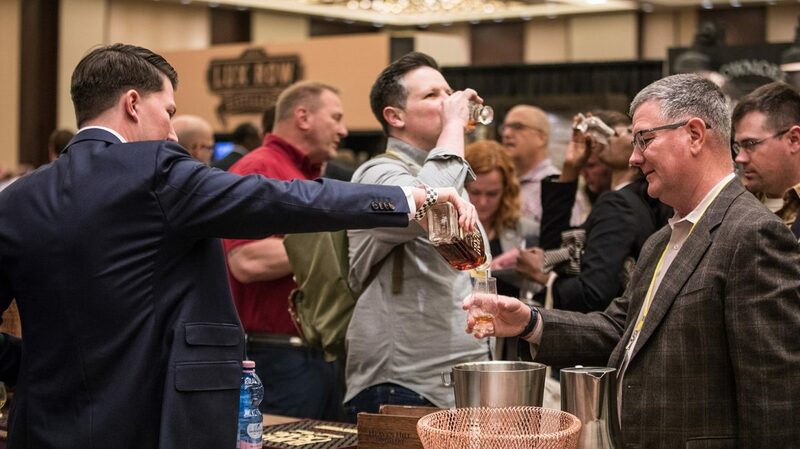 Just beyond the ballroom, seminars covering bourbon, scotch, and beyond filled with inquisitive and thirsty minds. 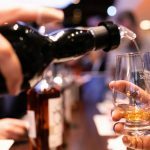 Simon Brooking, national scotch brand ambassador for Beam Suntory, led “East vs West: Which is Best?” which explored scotches from around the country’s coastlines, ending with Laphroaig 25 year old. “I feel like there’s an Islay whiskey for everyone,” he said, before raising a glass of Bowmore 26 year old. Meanwhile, across the hall, Brian Treacy, Drew Thorn, and Ryan Norwood of Sagamore Spirit introduced attendees to “Bourbon’s Older Brother: Rye Whiskey.” The seminar examined the historic significance of rye distilling in Maryland, an industry that predated even bourbon. “People were very curious about Maryland rye in itself— they didn’t realize Maryland has such a rich history of distilling,” Treacy said afterward, adding that the Marylanders and Pennsylvanians in the crowd embraced the idea. Back on the floor, Jackie Zykan, master taster at Old Forester, was pouring a rye herself, the brand’s newest product. 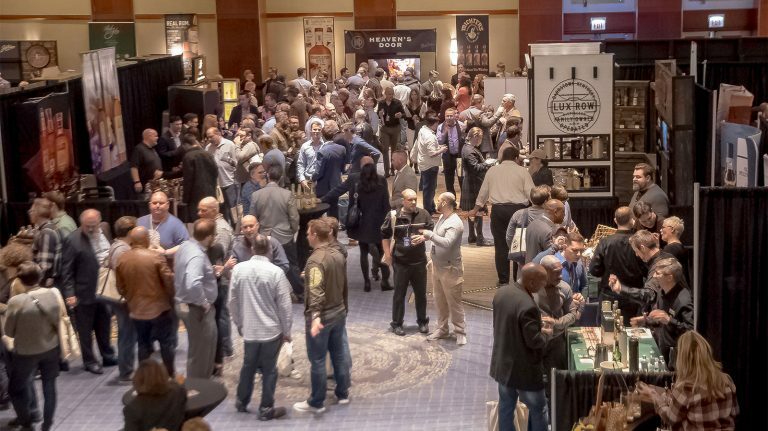 Zykan estimates that she’s been to every WhiskyFest over the past four years, but found one thing about this year’s D.C. Fest surprising. 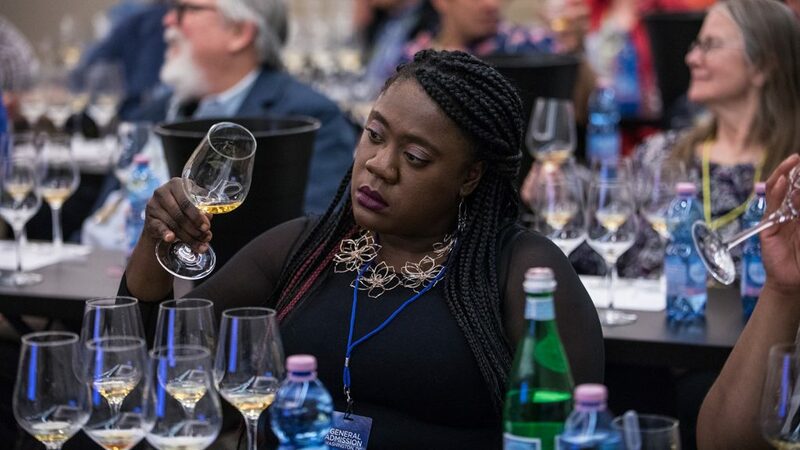 “More people have actually asked for Old Forester 1910 than Birthday Bourbon tonight, which is an interesting twist,” she said. 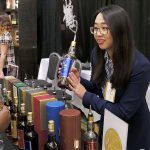 WhiskyFest returns this fall, coming to San Francisco on October 4 and landing in New York on December 3.